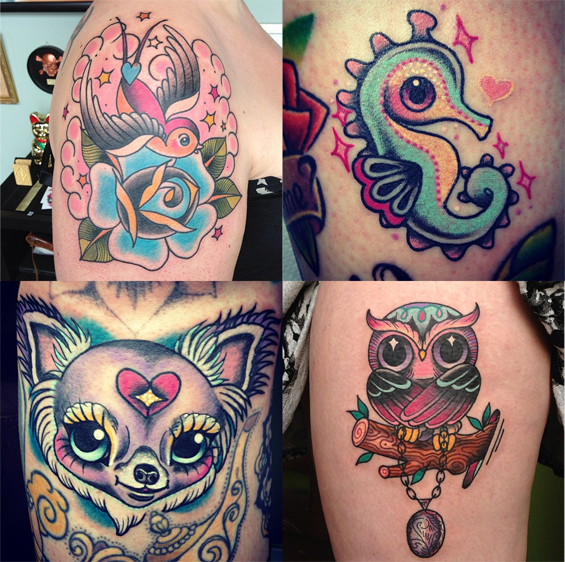 Top Tattooists - Rachel Baldwin of Bold As Brass Tattoo / Modern Body Art - Sugar, Darling? I do not know why it has taken me so long to do this post!!! 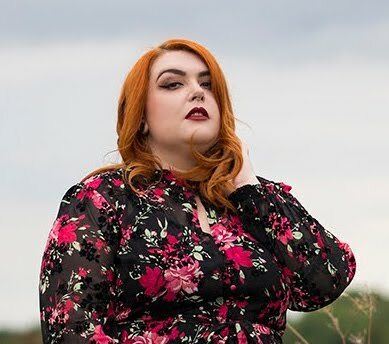 Last year I was lucky enough to get an appointment with beautiful Rachel Baldwin who was at Modern Body Art at the time to get a tattoo I'd been wanting for ages. I'd been looking around for a while to find the right person for the job, and when I saw Rachel's work I knew she was the one! 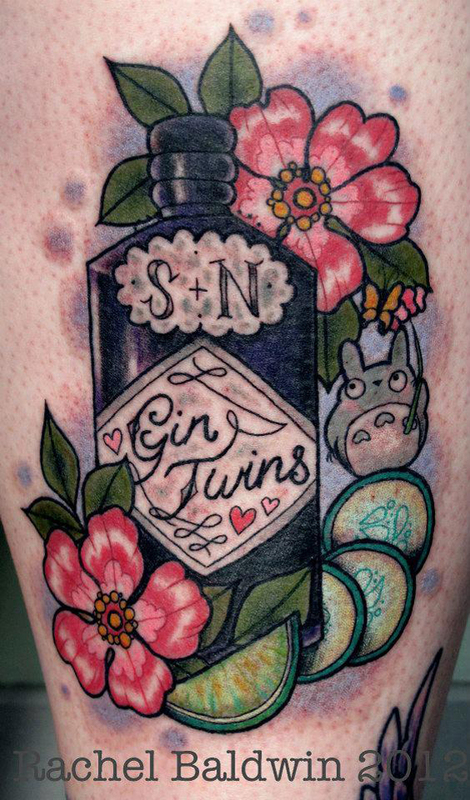 The piece she did for me was on the front of my shin comprising of a few of the things that my best friend Sarah and I both love - gin and Totoro! I had a consultation with Rachel a few months before the actual tattoo was done where we discussed my ideas and I gave her a few photos of the different elements that I wanted. I was then given the option of viewing the design before I had it done, or just turning up and seeing it on the day - as she is such a great artist I wasn't worried about seeing it before the appointment and was blown away by what she had come up with when I turned up for the tattoo! She had got in everything I wanted and had chosen to include dog roses rather than normal ones. I was really chuffed with this as I already have lots of 'normal' roses on my back so to have something different was an added bonus. I think you'll agree that she knocked it out of the park, even in the photo above which was taken straight after it was done so is a bit sore and bruised! As a little thank you present on the day I made Rachel a little box of cupcakes in pastel lilac with white chocolate cameos and sugar pearls - here she is holding them and looking stunning as usual! 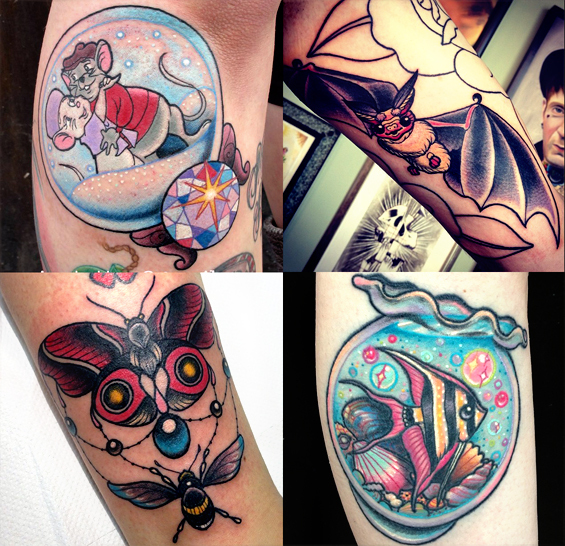 At the time I had my appointment Rachel was working at Modern Body Art in Birmingham. I feel quite a connection to this shop as the first thing that got me interested in tattoos was walking by their old shop which was near a car park in Birmingham and stopping to look at all the wonderful flash in the window. 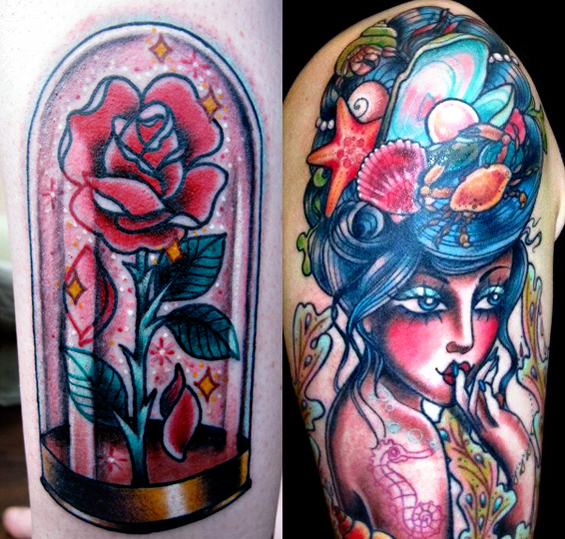 This flash turned out to be by Jo Harrison who owns the shop and started out a life long obsession with tattoo art. Several years after I managed to snag an appointment with Jo at the Derby convention where she did the skull and flowers on the back of my neck. I also went to MBS when Vicky Morgan was apprenticing there and got a lovely pin up lady on the side of my leg - it was the first lady tattoo she did so I am very proud to have it! Anyway back to Rachel! 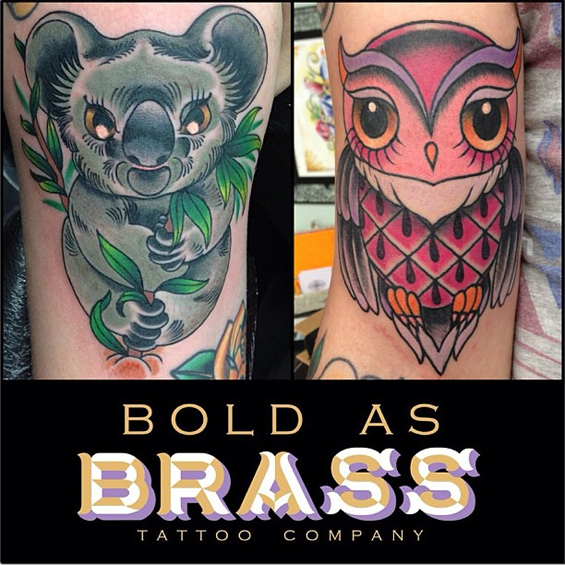 She has literally just left Modern Body Art and is opening up a shop with her husband Nick Baldwin called Bold As Brass in lovely Liverpool - my sister and I will be making the trip up sometime soon to get sister tattoos which should be really fun! 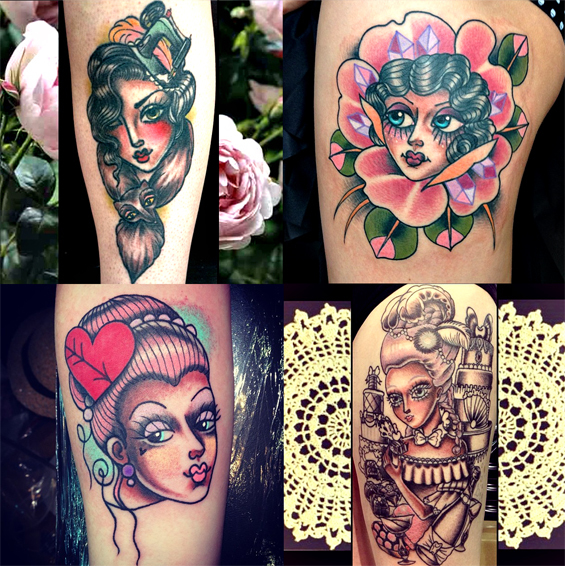 Here is a little selection of some of my favourite pieces by Rachel. I adore her colour palette of brights and pastels and her linework is super clean. As you can see from these example she is great at adapting her working style to suit what the client has requested, but you can always tell it's by her!